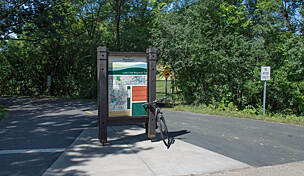 The Great Northern Trail offers a paved north-south route across the city of Elk River on the fringe of the northwestern outskirts of Minneapolis. 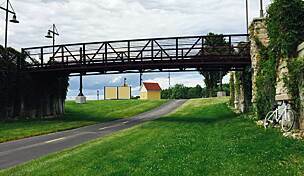 For nearly 5 miles, the rail-trail winds through the community along a former railroad bed operated by the Great Northern Railroad 1886–1976. 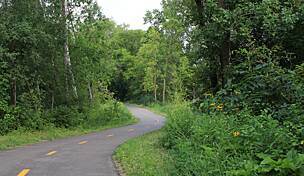 Currently, the trail is paved from County Road 1 in the northern section of Elk River to the city limits. A grass-surfaced section continues on to the Zimmerman city line. Heading north from the residential section of the trail, it travels through lush stands of hardwood forests and several parks, including Big Tooth Ridge Park and Top of the World Park, where unpaved trails are limited to hiking only. The Great Northern Trail then continues on along the east side of the Elk River Golf Club. 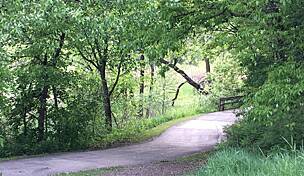 The trail offers scenic views and includes a pedestrian tunnel under CR 33 (Ranch Road) that provides users with an unimpeded 4.6-mile route through Elk River. Just west of the trail, one can also access Woodland Trails Park, a beautiful natural park featuring dense woods, prairies, and wetlands, all spanning more than 300 acres. Future plans target developing the rest of the trail from the Elk River city limits to Zimmerman, about 4 miles north on US 169, and then beyond to Princeton, ultimately adding another 8 miles to the trail. 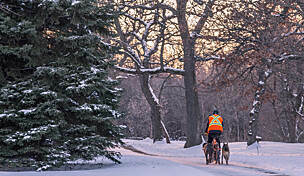 To reach the southern terminus of the trail, take I-94 to Exit 207 (if taking I-94 E.) or 207B (if taking I-94 W.). Merge onto MN 101, heading north, and go 6.2 miles (6.9 miles if you took I-94 E.). Exit onto US 10 toward Elk River. Merge onto US 10, and go 1.7 miles west. Turn right onto Proctor Ave. N.W., which becomes Elk Lake Road N.W./County Road 1. In 1.2 miles turn right onto Vernon St. N.W. Parking is available at Meadowvale Elementary School. 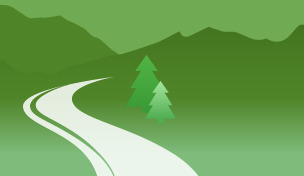 Roadside parking and trail access are available just south of Ranch Road N.W. at the intersection of Watson St. N.W. and 208th Ave. N.W. Take I-94 to Exit 207 (if taking I-94 E.) or 207B (if taking I-94 W.). Merge onto MN 101, heading north, and go 6.2 miles (6.9 miles if you took I-94 E.). Continue on US 169 3.3 miles, and take the CR 33 exit. Turn left onto 205th Ave. N.W. (which becomes Ranch Road N.W. 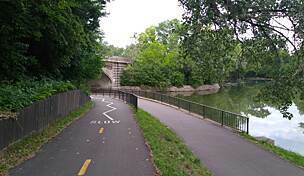 ), and go 1.1 miles. Turn left onto Watson St. N.W. ; trail access is 0.2 mile south on the left. 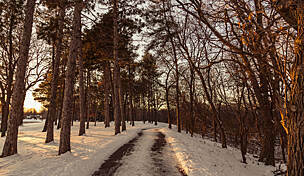 Elk River Parks & Rec.